Lightweight recycled polyester ripstop shell with a Deluge(R) DWR finish repels weather; 60-g PrimaLoft(R) One keeps you warm; Polartec(R) Thermal Pro(R) vents excess heat to regulate body temperatureMapped PrimaLoft(R) One insulation extends down sleeve to cuff and provides added coverage on torso; highly breathable and compressible R2(R) fleece in side panels, underside of arms and lower torsoBrushed tricot on inside of tall collar; wicking interior storm flap and zipper garage at chin for next-to-skin comfortFull-length, reverse-coil front zipper treated with a Deluge(R) DWR finish; backed with a low-bulk wind flapTwo zippered high handwarmer pockets are harness- and pack-compatibleElasticized binding at cuffs and hem provide stability and shape retentionShell: 1.4-oz 22-denier 100% recycled polyester. 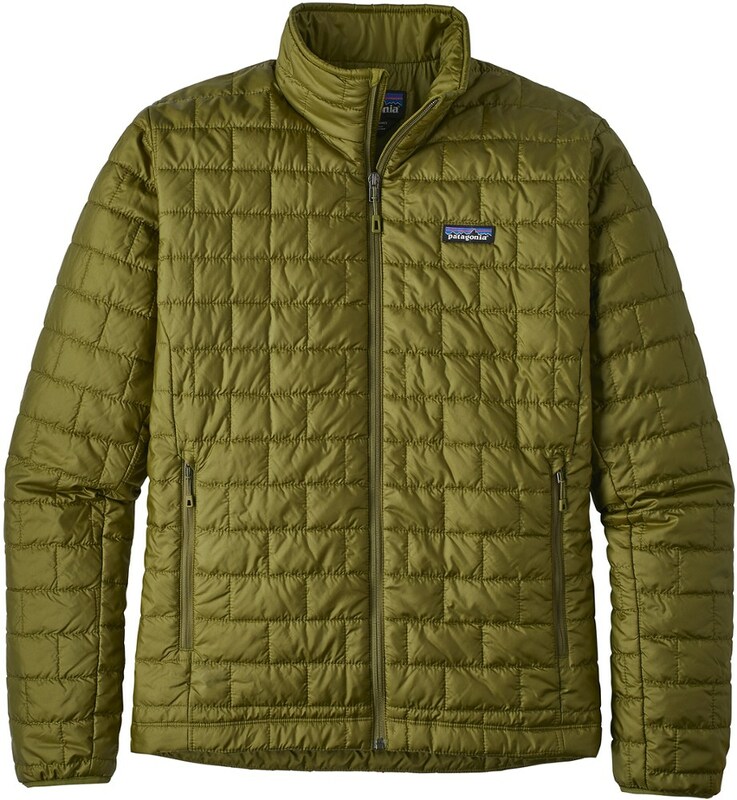 Insulation: 60-g PrimaLoft(R) ONE 100% polyester. Lining: 1.4-oz 22-denier 100% recycled polyester. Shell and lining have a Deluge(R) DWR (durable water repellent) finish. 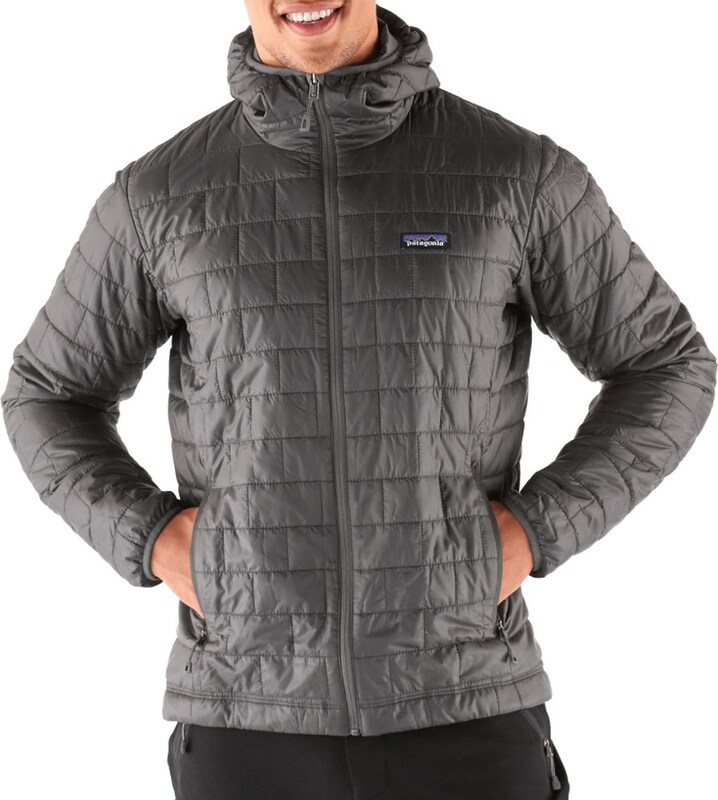 Venting: 6.1-oz Polartec(R) Thermal Pro(R) 98% polyester (63% recycled)/2% spandex343 g (12.1 oz)Made in Vietnam Material: PrimaLoft(R) The human body uses energy to keep warm. 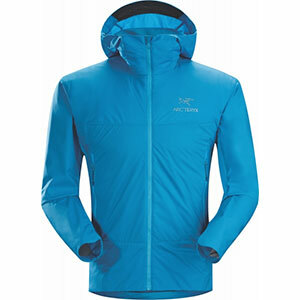 PrimaLoft(R) uses a patented microfiber structure to help the body retain warmth and conserve energy. Available as PrimaLoft ECO or PrimaLoft One. Technology: Deluge(R) DWR Patagonia's proprietary durable water repellent fabric finish, Deluge DWR, lasts substantially longer than standard DWRs. Garments with the Deluge DWR finish have like-new repellency after years of extensive use. Our best-selling Nano Puff(R) Jacket and iconic R2(R) fleece are combined for a hybrid that keeps you warm but not overheated during high-output adventures. A combination of favorites: compact weather-shedding Nano Puff(R) insulation to protect and warm crucial areas, and high-loft R2(R) fleece everywhere else. 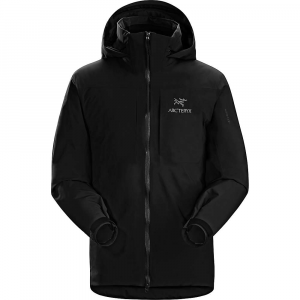 We revised this hybrid by remapping the PrimaLoft(R) ONE synthetic insulation (60-g, with a recycled polyester shell) to cover the front and back torso and the tops of the arms, from shoulders to cuffs, for concentrated warmth; meanwhile, compressible and stretchy R2 fleece insulation covers the sides, lower torso and underside of arms and breathes without restriction, enabling high reaches on cold-weather rock walls and unrestricted pole plants on frigid ski approaches. Other improvements include a soft, wicking interior storm flap and zipper garage at the chin for next-to-skin comfort, stronger elasticized cuffs and hem for a better seal, and a higher collar with brushed tricot on the inner neck and chin. The two zippered handwarmer pockets ride high (harness and pack compatible) and the full-length, reverse-coil front zipper is backed with a low-bulk wind flap and treated with a Deluge(R) DWR (durable water repellent) finish. A combination of favorites: compact weather-shedding Nano PuffÂ(R) insulation to protect and warm crucial areas, and high-loft R2Â(R) fleece everywhere else. PrimaLoftÂ(R) Gold Insulation (60-g, with a recycled polyester shell) covers the front and back torso and the tops of the arms, from shoulders to cuffs, for concentrated warmth; meanwhile, compressible and stretchy R2 fleece insulation covers the sides, lower torso and underside of arms and breathes without restriction, enabling high reaches on cold-weather rock walls and unrestricted pole plants on frigid ski approaches. A soft, wicking interior storm flap and zipper garage at the chin gives next-to-skin comfort, elasticized cuffs and hem seal in heat, and a high collar with brushed tricot warm the inner neck and chin. The two zippered handwarmer pockets ride high (harness and pack compatible) and the full-length, reverse-coil front zipper is backed with a low-bulk wind flap and treated with a DWR (durable water repellent) finish. 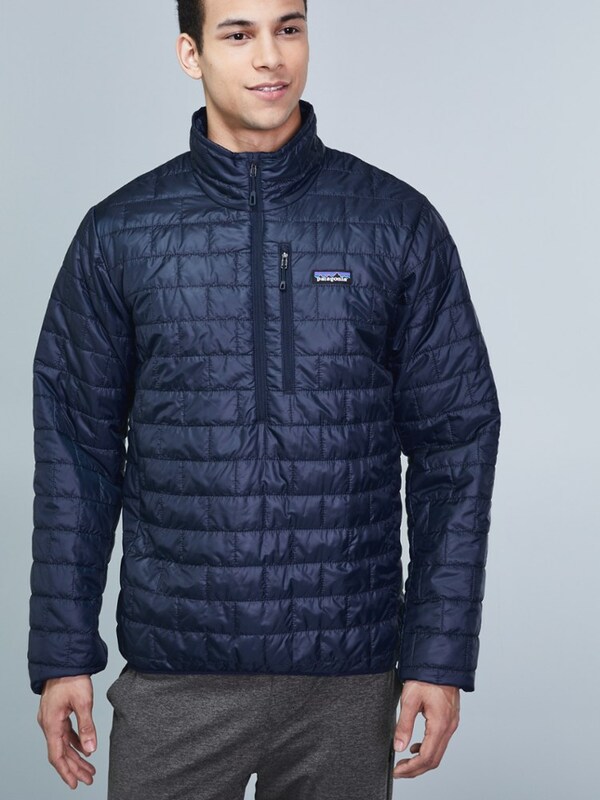 Patagonia Men's Nano PuffA(R) Hybrid Jacket - New - A combination of favorites: compact weather-shedding Nano PuffA(R) insulation to protect and warm crucial areas, and high-loft R2A(R) fleece everywhere else. 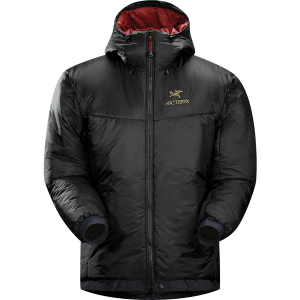 We revised this hybrid by remapping the PrimaLoftA(R) ONE synthetic insulation (60-g, with a recycled polyester shell) to cover the front and back torso and the tops of the arms, from shoulders to cuffs, for concentrated warmth; meanwhile, compressible and stretchy R2 fleece insulation covers the sides, lower torso and underside of arms and breathes without restriction, enabling high reaches on cold-weather rock walls and unrestricted pole plants on frigid ski approaches. Other improvements include a soft, wicking interior storm flap and zipper garage at the chin for next-to-skin comfort, stronger elasticized cuffs and hem for a better seal, and a higher collar with brushed tricot on the inner neck and chin. The two zippered handwarmer pockets ride high (harness and pack compatible) and the full-length, reverse-coil front zipper is backed with a low-bulk wind flap and treated with a DelugeA(R) DWR (durable water repellent) finish. Details Lightweight recycled polyester ripstop shell with a DelugeA(R) DWR finish repels weather; 60-g PrimaLoftA(R) One keeps you warm; PolartecA(R) Thermal ProA(R) vents excess heat to regulate body temperature Mapped PrimaLoftA(R) One insulation extends down sleeve to cuff and provides added coverage on torso; highly breathable and compressible R2A(R) fleece in side panels, underside of arms and lower torso Brushed tricot on inside of tall collar; wicking interior storm flap and zipper garage at chin for next-to-skin comfort Full-length, reverse-coil front zipper treated with a DelugeA(R) DWR finish; backed with a low-bulk wind flap Two zippered high handwarmer pockets are harness- and pack-compatible Elasticized binding at cuffs and hem provide stability and shape retention Shell: 1.4-oz 22-denier 100% recycled polyester. Insulation: 60-g PrimaLoftA(R) ONE 100% polyester. Lining: 1.4-oz 22-denier 100% recycled polyester. Shell and lining have a DelugeA(R) DWR (durable water repellent) finish. Venting: 6.1-oz PolartecA(R) Thermal ProA(R) 98% polyester (63% recycled)/2% spandex 343 g (12.1 oz) Made in Vietnam. 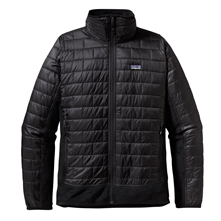 The Patagonia Nano Puff Hybrid Jacket is not available from the stores we monitor. It was last seen January 9, 2018	at Backcountry.com.